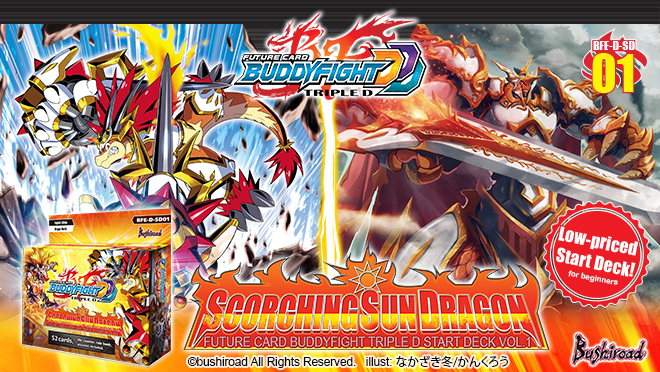 Ignite the explosive power of the brand new 《Sun Dragon》 with BFE-D-SD01 [Scorching Sun Dragon]!! A new evolution for Buddyfight, fresh new abilities for both veterans and new fighters! !